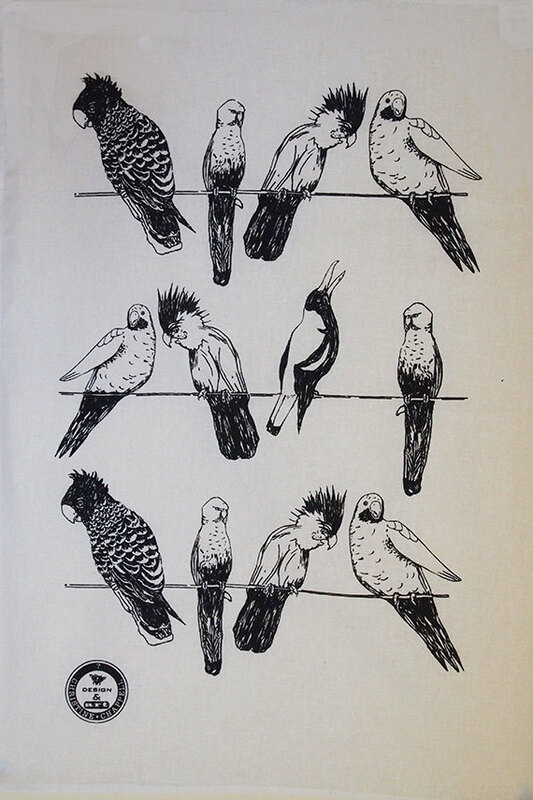 Handprinted onto natural colour 75% linen / 25% cotton by Australian Artist Christine Chapell. Showing the beauty, humour and personality of Australian native birds. Machine wash in cold or warm water (separately for first wash), hot iron.